As everyone knows, Fujitsu has been specialising in air-conditioner manufacturing industry and have been in the industry for few decades. Despite the fierce competition in the industry, Fujitsu are still able to stay relevant as well as being technologically innovative in their products. Currently, they are constantly producing newer models where they have incorporated new technology such as being energy efficient into their air-conditioner. Besides being technology innovation, they are also improving on the aesthetics of their products which makes it suitable for designers home or cafes. 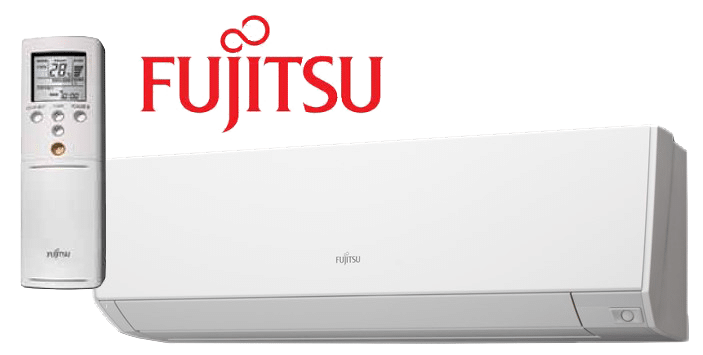 Fujitsu aircon Singapore is one of the leading air-conditioner brand in Singapore. It is one of the widely installed air-conditioners among local households and offices especially during the hot climate in Singapore. With the rising temperature in Singapore, the importance of Fujitsu aircon servicing is increasingly crucial in up keeping your air-conditioner and prevent it from overheating. The air-conditioner is similar to other electrical appliances or machinery where regular Fujitsu aircon servicing and maintenance is essential in increasing and maintaining the performance and lifespan of your air-conditioning system. Without regular servicing and maintenance, the condition and performance of your air-conditioning system will starts to deteriorate which may result in aircon not cold and other aircon problems. In some cases, it may even cause the air-conditioner to stop operating and require major repairs. Thus, always keep in mind to engage professionals for regular Fujitsu aircon servicing to maintain the condition of your units and get it running in the most optimum level. At any point of operations in your Fujitsu system, you may experience aircon problems such as aircon leaking, faulty parts, malfunctioned unit, aircon automatically switch on and off, aircon not working and many other problems. Since the air-conditioning system comprises of so many parts and components, it is not uncommon for your units to face issues. Furthermore, with the harsh weather in Singapore, it is prone for air-conditioners to face problems during its lifespan. This is where you require a professional Fujitsu aircon repair company in Singapore to troubleshoot, diagnose and rectify the aircon problems that you are facing. At Wei Wei Aircon, our teams of experienced and qualified aircon technicians are able to solve all your Fujitsu air-conditioning problems and regain the functionality of your system and get it working again. If you require any aircon repair services for your Fujitsu air-conditioner, feel free to call us today. Another crucial and important aircon service that could keep your units in top-notch condition and improve the performance is the Fujitsu aircon chemical wash. Aircon chemical cleaning is one of the thorough and effective services where it is able to wash out all the dirt, debris and other harmful substances that have built up in your air-conditioner unit. If you have family members which have allergy issues such as skin problems or asthma, those harmful substances are not helpful at all and can even worsen their existing medical condition. Hence, Fujitsu aircon chemical cleaning can effectively eliminate all these dirt and harmful substances. It has many benefits such as cleaner and healthier air, stronger air flow, improve cooling efficiency and much more. Other than that, if your air-conditioner is not being regularly serviced or maintained for an extended period, it is best to opt for chemical washing to improve the performance and air quality of your Fujitsu air-conditioning system. Just like any machinery or equipment, having regular maintenance has been always good as it acts as a preventive measure. Diagnosing an aircon issue at an early stage before the problem worsen or gets complicated is always the best scenario where we are able to get it rectified it quickly at the lowest possible cost. It is similar to cars where you send them for regular maintenance to keep them in good working condition. Hence, the purpose is the same, which is to improve the performance of the equipment and system, which is why Fujitsu aircon maintenance and Fujitsu aircon servicing are essential services to upkeep the condition of your system. It is essential to engage a professional Fujitsu aircon installation company in Singapore for your air-conditioner installation. A poor aircon installation can lead to many issues such as water leaking, aircon not cold and other problems which can result in irritation and frustration. On the other hand, a professional and certified Fujitsu air-conditioner installation company is able to provide assistance from choosing the appropriate models to the location of installation. Furthermore, a reliable aircon installer has the appropriate tools and equipment to install your Fujitsu air-conditioning system properly and will prevent any potential issues such as leakage from happening. At Wei Wei Aircon, we have professional and certified installers performing Fujitsu aircon replacement or installation for your home or office. You can contact us for more information. If you ever feel that your air-conditioning system are not functioning well as usual, engaging a Fujitsu aircon company is the easiest and the most effective solution in meeting your air-conditioning needs for your home or office. If you ignore such problems or try to perform Fujitsu aircon repair on your own, it could worsen the problem and lead to hefty repair cost in the future. Furthermore, repairing an air-conditioner involves risk and requires expertise and experience to perform the repair job. By performing the repair job on your own will result in risk, such as electrical shock and other high risk injuries which is why we advise consumers to engage professional a Fujitsu repair company instead. On the other hand, ignoring an aircon problem in your Fujitsu air-conditioning system could complicate problems and result in more repair jobs. The worst case scenario will end up replacing a new parts or even replacing a new air-conditioner. When your unit is not operating, it will cause frustration and discomfort since you have to bear the hot weather in your room or office. Thus, never neglect your aircon problems and try to get it fixed immediately by experienced repair Fujitsu aircon company. In addition, if you did not engage in Fujitsu aircon maintenance for a period of time or you have discovered that your air-conditioning unit is facing some aircon problems which requires immediate attention. It is best to engage a professional Fujitsu aircon servicing Singapore company to service your units and at the same time, check on the problems. Why Choose Us as Your Fujitsu Aircon Company? With years of experience and knowledge in the air-conditioning industry, we specialise and deal with a wide range of air-conditioner brands and types of system, including Fujitsu aircon in Singapore. We are one of the leading aircon servicing contractors in Singapore. Our teams of well-trained technicians are experienced in Fujitsu aircon servicing, repair, maintenance, chemical wash and installation. Each different air-conditioning brand has its own equipment, parts and system which requires experience and knowledge in servicing or repairing in that particular aircon brand. It is crucial to engage a professional air-conditioning company which is knowledgeable and experienced in the Fujitsu air-conditioning system. With a technician that is well-trained in the Fujitsu units, they are able to accurately diagnose the cause of the malfunction since they are already experts in Fujitsu system and understand each and every component and equipment in the system. At Wei Wei Aircon, we have teams of experienced technicians that are well-trained and experienced in Fujitsu aircon servicing and repair for different types and models. From regular servicing, chemical wash, repair to Fujitsu aircon installation, we are able to meet all your Fujitsu air-conditioning needs in Singapore. With our experience and knowledge in Fujitsu system, we are your one stop Fujitsu aircon company in Singapore. So look no further and contact us today for your Fujitsu aircon needs in Singapore.